Susie manages GOGLA’s research activities and Impact Working Group. 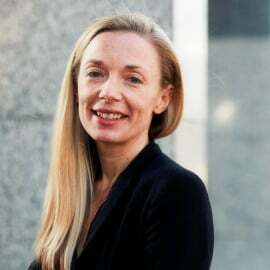 Prior to GOGLA, Susie held roles as the Senior Communications Manager at Power for All and Campaigns Manager at SolarAid. Before her move into the off-grid industry, she spent 12 years in the finance sector at Lloyd’s of London, working in a variety of research, advisory and management roles, and as a consultant to the insurance industry ClimateWise group -- facilitated by the University of Cambridge. Susie holds an MSc in Environmental Technology from Imperial College London, and a BA Hons in History and Politics from Warwick University. Sponsored by Nokia and G24i she also cycled 13,500 miles around the world to promote the potential of solar energy in 2010, writing a book on her return entitled The SolarCycle Diaries.